Indoor Air Quality – David M. Kulawiak, Inc. Since the passage of the Clean Air Act in 1970, outdoor air quality has improved along many measures. Indoor air quality (IAQ) is another story altogether. Since the late 1970s, buildings have been built more air-tight to conserve fossil fuels, creating virtually air-tight buildings. The World Health Organization has estimated that as many as 30 percent of new and remodeled buildings worldwide contain enough pollutants to make workers ill. This means any contaminants indoors become trapped, and often concentrated. • carbon monoxide, caused by combustion in an area with insufficient ventilation. Exposure to off-gassed chemicals and fumes can cause a variety of symptoms, depending on the type of chemical, concentration and duration of exposure. Exposure to molds and other microbes can cause hypersensitivity pneumonitis, rhinitis, sinusitis, asthma and Legionnaire’s disease. Radon gas, a substance that occurs naturally as uranium in rock and soil decays, can seep from the ground into buildings. Breathing radioactive isotopes could cause lung damage and cancer. Carbon monoxide poisoning can cause dizziness, fatigue, nausea, unconsciousness and even death. 1 Nonspecific building-related illness (NBRI), otherwise known as sick building syndrome. Sick building syndrome results in general complaints, which may include headaches, fatigue, nausea, mucous membrane (eye, nose, and throat) irritation, coughs and muscle pain. These conditions generally are not traceable to a specific substance, but result from exposure to a combination of substances or to individual susceptibility to lower concentrations of contaminants. NBRI symptoms typically lessen or disappear when affected individuals leave the building. 2 Building-related illness (BRI) describes specific medical conditions of known cause, which exhibit physical signs that can be documented by laboratory findings. Such illnesses include respiratory allergies and Legionnaires’ disease. 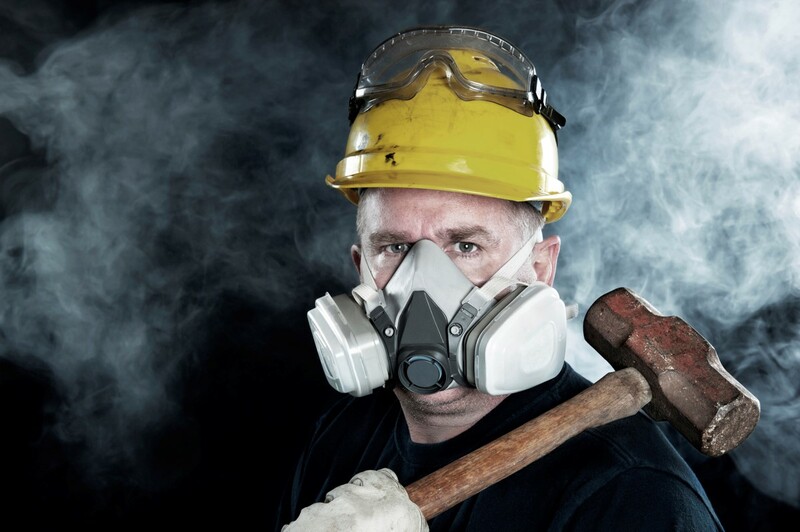 Building-related illnesses are potentially severe. Unlike sick building syndrome, you can often trace BRI to a specific contaminant source. The National Institute of Occupational Safety and Health (NIOSH) has found that the most likely sources of IAQ complaints are poor ventilation, poor thermal conditions (too hot or too cold), relative humidity (too high or too low), poor ergonomic layout of office space, emissions from office machines, copiers, and other building contaminants. Improving indoor air quality takes two steps: source reduction and improved ventilation. • selecting furnishings and finishes with minimal or no offgassing. Common offgassing culprits include carpeting, furniture and other items made with particleboard or other composite materials, paints and varnishes. • working with cleaning services to ensure cleaning supplies are nontoxic. • reducing exposure to radon (which varies depending on soils and geography of your area) by installing vapor barriers. • checking sources of combustion, such as furnaces, stoves, heaters, etc. for release of carbon monoxide (CO). Many municipalities now require buildings to have carbon monoxide alarms in addition to smoke alarms. As CO is colorless and odorless, a monitor or alarm can save lives. • checking office supplies for toxicity and fumes. Glues, solvents, toners and other common substances can release harmful fumes into the air. You can find substitutes, minimize their use or make sure workers using these substances do so in a well-ventilated area with eye and nose protection, if necessary. • Have a professional HVAC service evaluate your system for airflow, filtration and dampness. Dampness in the ducts can allow mold to grow, which can release spores into the air throughout the building. • Pay attention if more than one worker complains of eye, nose or throat irritation; coughs; headaches; fatigue; nausea or muscle pain, particularly if those symptoms disappear or improve when they leave the office. These symptoms could indicate an indoor air quality problem. For more information on dealing with indoor air quality and other workplace environmental problems, please call us.